As ominous music plays in the background, the narrator of a radio ad echoes objections from drugmakers by warning that a Trump administration proposal to apply international pricing to certain Medicare drugs would be a nightmare for seniors. The one-minute spot is the handiwork of the Alliance for Patient Access, a nonprofit group that gives off a consumer-friendly vibe but is bankrolled by the powerful pharmaceutical industry. It's also closely aligned with a Washington lobbying and public relations firm, Woodberry Associates, whose president, Brian Kennedy, is the nonprofit's executive director. As Congress and President Donald Trump's administration aim to lower prescription drug costs, outside groups like the Alliance for Patient Access are seeking to sway the outcome. But not all of these organizations are clear about who they actually represent. Their names can obscure the source of the message, and they're cagey about where they get their funding. Yet even a small degree of separation can be valuable for pharmaceutical companies at a time when the industry faces stiff political headwinds. Drug prices may provide a rare bipartisan issue on which Congress and the White House could collaborate on legislation ahead of the 2020 elections. In a prelude of sorts, the Senate Finance Committee last month grilled drug company executives over the cost of their products. 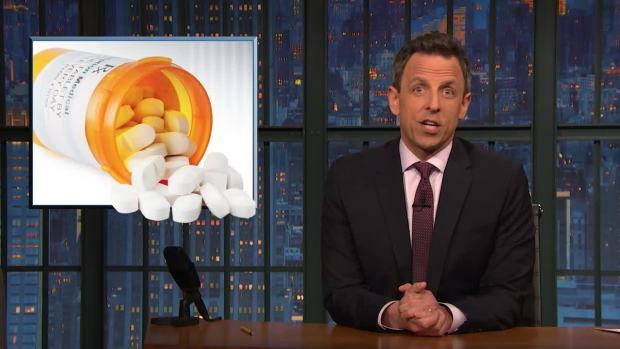 Seth Meyers takes a break from breaking news to check in on the skyrocketing costs of prescription drugs, which President Donald Trump claimed he would be able to fix. Anger is bubbling up from their constituents. 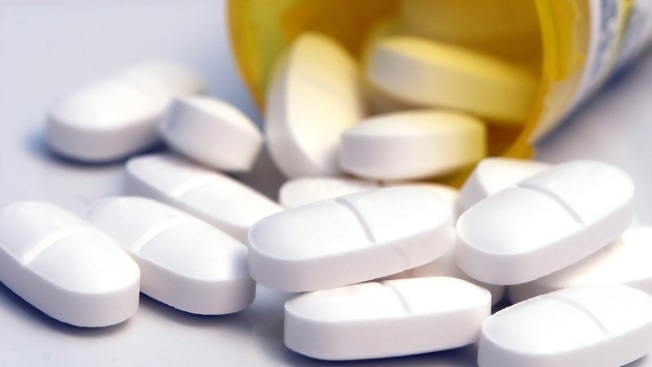 A February poll by the nonpartisan Kaiser Family Foundation found nearly one in four Americans taking prescription drugs have difficultly affording their medications. Although majorities of the public trust pharmaceutical companies to develop new and effective drugs, only 25 percent trust them to price their products fairly — down from 41 percent in 2008. Susan Hepworth, a spokeswoman for the Alliance and Woodberry, described the nonprofit as "a national network of physicians that advocates for patient access to the medicines they prescribe." Through the Alliance, she said, doctors "can share their perspectives about the benefits of respecting the physician-patient relationship, clinical decision making and personalized, patient-centered health care." It's no surprise, Hepworth said, that the group's backers include companies that manufacture medicines. She declined to answer questions about the radio ad. The one-minute spot singles out for criticism a Trump administration proposal to gradually shift Medicare payments for drugs administered in doctors' offices to a level based on international prices. Prices in other countries are lower because governments directly negotiate with manufacturers. But drugmakers have assailed the Trump plan, arguing it smacks of government price-setting and would lead to socialized health care. The Alliance's radio spot makes the same argument, using nearly identical language. Under the Trump proposal, the ad says, "cancer treatment would be paid based on rates from countries with European-style health care, where access to new medicine is rationed and patients often wait months for care." Tax filings for 2015 through 2017, the most recent available, show the Alliance has paid Woodberry's consultants more than $1 million. Brendan Fischer of the nonpartisan Campaign Legal Center said the transactions may raise red flags. "Nonprofits are supposed to promote social welfare, not operate to provide a private benefit to any person or entity," Fischer said. "A nonprofit could run afoul of tax law if it is substantially benefiting a nonprofit officer's for-profit consulting firm." Hepworth said Woodberry is a consultancy with a division that specializes in nonprofit coalition management and that the money paid to the firm's people represents a small amount of the Alliance's expenditures for those years. The Alliance "files all of the appropriate paperwork with the IRS and takes the extra step of making available on its website a current list of its supporters," according to Hepworth. The link to this list takes a bit of searching to find, however. The Alliance's money comes from more than three dozen associate members and financial supporters, which include several of the largest pharmaceutical companies. Among them are AbbVie, manufacturer of Humira, the blockbuster drug for immune system conditions; AstraZeneca, maker of the cholesterol drug Crestor; Bristol-Myers Squibb, maker of the blood thinner Eliquis; and Pfizer, maker of Lyrica for nerve pain. The group's leaders are medical doctors based outside of Washington; those identified in the tax records as directors aren't paid for the one hour per month, on average, of work they do for the nonprofit. But several of them have earned tens of thousands of dollars in consulting and speaker fees from the health care industry, including companies that back the Alliance. For example, Dr. Jack Schim, a neurologist in California and an Alliance director, was paid nearly $329,000 between 2015 and 2017, with the bulk of the money coming from Allergan, maker of wrinkle treatment Botox, according to a database maintained by the Centers for Medicare and Medicaid Services. Schim was one of the top-ranking physicians in his specialty for these payments. While the Alliance names its supporters, it doesn't disclose how much each has contributed. Federal rules permit groups structured as tax-exempt social welfare organizations to say little about their benefactors. Social welfare organizations like the Alliance also may engage in limited political activities so long as politics isn't their primary focus. Known by their IRS designation as 501(c)(4)s, they typically are civic-minded groups such as homeowner associations and volunteer fire departments. The Alliance spent $13.6 million in 2015 and 2016 on awards to recognize dozens of members of Congress who, according to Hepworth, "have championed patient access in the Medicare program." The lawmakers, who are barred by ethics rules from accepting monetary gifts, are presented with a plaque and are praised in press releases and advertisements. Recent recipients include Rep. Scott Peters, D-Calif., and Sen. Lamar Alexander, R-Tenn.
Tax records for the drugmakers' influential trade association, the Pharmaceutical Research and Manufacturers of America, provide a bit of insight into the Alliance's finances. The association, known as PhRMA, identifies the recipients of its grants and contributions. It donated more than $1.8 million to the Alliance between 2009 and 2016 and since 2016 gave another $215,000 to two smaller offshoots — the Institute for Patient Access and the Global Alliance for Patient Access. PhRMA's largest single contribution, $1.4 million, came in 2016 when Trump, then a candidate for president, and Democratic contender Hillary Clinton rattled drug companies with their pledges to take aggressive steps to bring down prescription medication costs. "Groups like the Alliance for Patient Access often act as foils for the pharmaceutical industry instead of advancing patient interests," said Steven Knievel of the nonpartisan watchdog group Public Citizen. "They advocate for policies where industry and patient interests align. But any time drug prices are on the table, they toe the line of their corporate backers." Kennedy, a former top official at the Republican Governors Association, registered the Alliance in June 2006 in Iowa; he lists an address in Bettendorf on the certificate. He registered Woodberry Associates as an LLC nearly five months later, also in Iowa. Kennedy is the Alliance's executive director and Woodberry's president. The nonprofit and the business share an office in downtown Washington. The bulk of the more than $1 million paid to Woodberry between 2015 and 2017 was for consulting services that Hepworth said ranged from managing Alliance working groups to the development and promotion of white papers, podcasts and social media posts. Kennedy also received more than $457,000 in reimbursements for travel, hotels and catering contracts.